The Bethel Park School District recently received three school safety grants in a combined amount of $85,000. The District was awarded $40,000 from the Pennsylvania Department of Education’s Office for Safe Schools 2018-2019 grant program, which will be used to offset the salaries of the District’s School Police Officers. The District also received an additional $20,000 for year two of the 2017-2018 Safe Schools grant, to also be used toward School Police salaries. Additionally, the District received $25,000 from the Pennsylvania Commission on Crime and Delinquency’s School Safety and Security Committee, which will be used for the purchase of security-related technology and equipment. 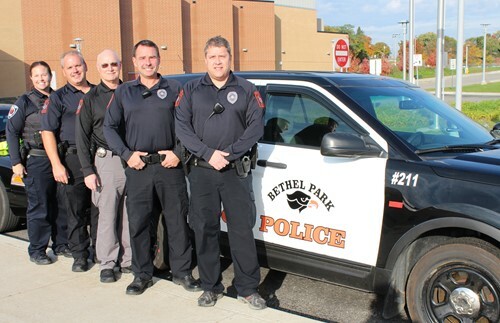 The Bethel Park School District employs four full-time Police Officers and one part-time School Resource Officer, who is a member of the Bethel Park Police Department.